In order to efficiently offer video visits to your patients, appointments need to be convenient for both the patient and practice. Patients also need to be informed that video visits are an option. 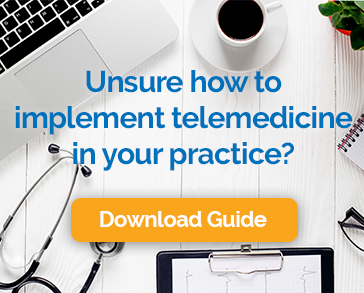 Use this as your guide to successfully schedule telemedicine video visits with Chiron Health. Before you can schedule a telemedicine appointment, patients need to know that they may choose a video visit for an upcoming appointment. To do this you must secure patient buy-in and educate patients on using a video visit as an alternative to in-person appointments. Start with educating patients while they are in the office. When a patient is a good candidate for a video visit, let them know that you recommend one for their next appointment. Don’t focus on: technical questions about their computers and internet connection–that’s our job! Place the brochures in a prominent area of your waiting room and/or exam rooms. Encourage your patients to take them and ask staff any questions. Use the tear sheets as a guide to walk your patient through the process of a video visit. Explain that it’s likely they already have all the necessary equipment. Give them confidence in the ease of use of the system and the convenience of having a video visit. Also, be sure to utilize your own existing resources. Things like practice newsletters and social media are great ways to attract existing patients to your new telemedicine software services. Remember, video visits need to be convenient for both patients and practices. Be sure to select times that work well for your patients and at times that you and your staff can easily manage. Set aside time for telemedicine. Successful practices leveraging telemedicine software designate time in their schedules to dedicate to video visits. Pick 2-3 days per week, and block out 1-2 hours on your schedule each of those days to dedicate to telemedicine. Days and times are up to you. Keep in mind, you also want to choose time blocks in your schedule that are convenient for patients. Experiment with video visit appointment times to see which your patients prefer. Try a block of time in the morning, and one in the afternoon. Let Chiron Health design a marketing campaign to educate patients on your behalf. We can help announce that you now offer video visits, and even give them an avenue to sign up. This takes little to no effort on your part and helps grow appointment volume. Offering video visits in your practice is a great way to increase practice efficiency and patient satisfaction. Building them into your existing practice workflow is easy: start with educating your patients and selecting convenient video visit appointment times. I hope you found the above guide a useful resource. Be sure to follow our blog for upcoming resources.